Product prices and availability are accurate as of 2019-04-20 00:47:49 UTC and are subject to change. Any price and availability information displayed on http://www.amazon.com/ at the time of purchase will apply to the purchase of this product. 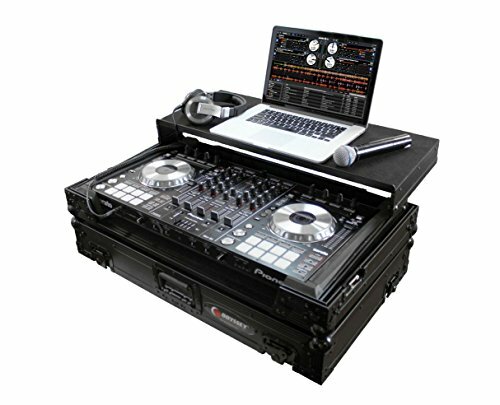 AudioDJ.com are delighted to stock the brilliant Pioneer DDJ-SX2 + Odyssey Black Label Case. With so many on offer these days, it is wise to have a brand you can trust. The Pioneer DDJ-SX2 + Odyssey Black Label Case is certainly that and will be a great buy. 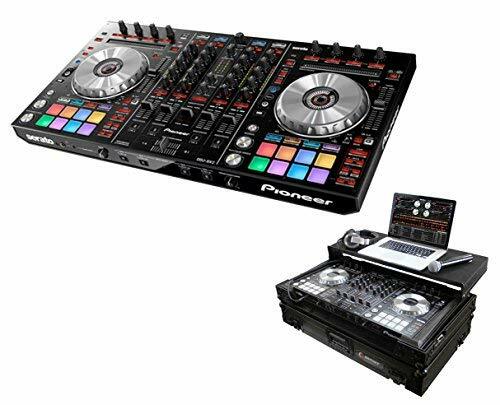 For this reduced price, the Pioneer DDJ-SX2 + Odyssey Black Label Case comes widely respected and is a regular choice with many people. Pioneer have included some nice touches and this means good value for money. Product Description for Pioneer DDJ-SX2 with Odyssey Black Label Case Package Includes 1 x Pioneer DDJ-SX2 1 x Odyssey FZGSPIDDJSXBL Black Label Case Pioneer DDJ-SX2 The Pioneer DDJ-SX2 is the successor to the ever popular Pioneer DDJ-SX and is one of the first controllers to give DJs dedicated controls for the all new Serato Flip expansion pack. 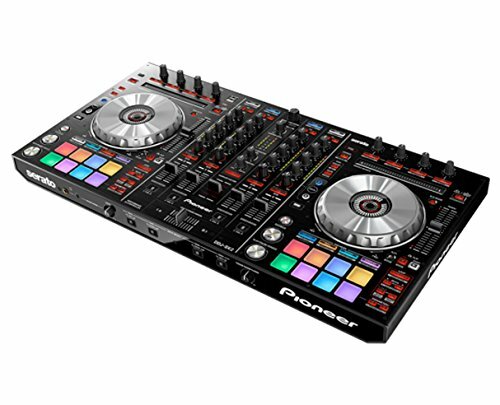 The four-channel controller builds on the popularity of its predecessor, by adding multi-colored performance pad LEDs and on-jog digital cue point markers as seen on the Pioneer DDJ-SZ. The Pioneer DDJ-SX2 comes Serato DJ DVS Upgrade Ready, allowing the ability to add turntables or CDJs along with Serato NoiseMap Control Vinyl/CD's to control the software - this along with improved jog wheel latency, makes it a scratch DJs ultimate companion. All new designated Serato Flip controls will enable quick and easy controls for Record, Start and Slot - to put intuitive an creative Serato Flip performances at your fingertips. DDJ-SX2 owners can add Serato Flip to their software package at no extra cost; the first 10,000 controllers purchased will come bundled with a FREE Serato Flip expansion pack voucher. Odyssey Black Label Case Odyssey presents the Black LabelTM FZPIDDJSX case specifically made for the Pioneer DDJ-S1, DDJ-T1, and the long awaited DJJ-SX DJ controllers. It also features our exclusive, patent pending, high-density bevel foam interior that neatly angles upward raising the controller for an efficient control surface. The stylish V-CutTM removable panel allows for easy access to the front controls and headphone/mic jacks. A spacious ventilation pit under the controller is ideal for storing cables and other accessories. Also available in standard chrome and black (FZPIDDJSX) and with our patented gliding laptop platform (FZGSPIDDJSX & FZGSPIDDJSXBL).